Be Sage. A chèvre and eggs breakfast. Aren’t breakfasts just the best thing in the world? Okay, maybe one of the best. But you know what I mean, right? Breakfast can literally ease you out of the comforts of your fluffy bed and blanket with just a simple whiff of bacon or the inviting smell of coffee. And that sets you up for a day of positive vibes, for sure! So it just makes sense that we’re all out in the hunt for good breakfast and brunch dishes in hopes of a lasting positivity for the rest of the day. So sage. It’s a new herb to me. I never really paid attention to my mom’s little jar of dried sage back when I was a child. And honestly, I found the aroma of this herb too strong and “grandma-like” – whatever that means. But since a couple of years now, I might have softened up to it, thanks to a friend from Greece who introduced me to the wonders of this herb! Today, we had a lovely breakfast of flat bread with goat cheese and sage, sunny side up with sage and some figs. Seriously good. 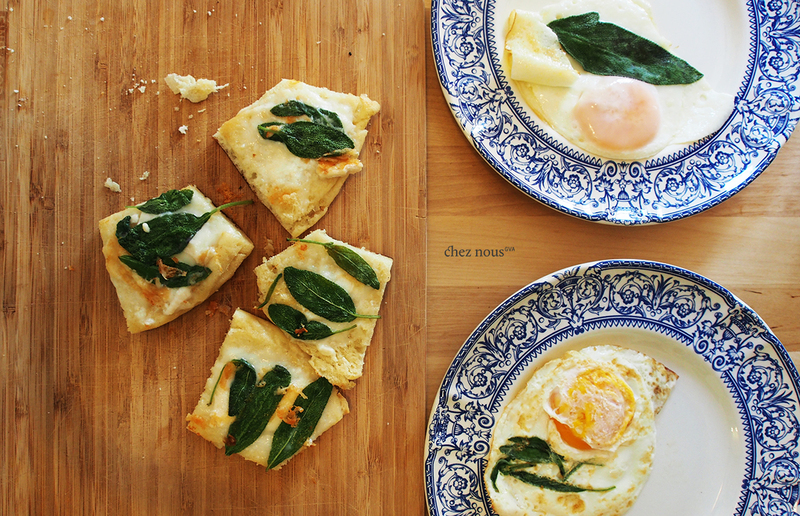 The simplicity of this breakfast hides a secret full of flavor and aroma. 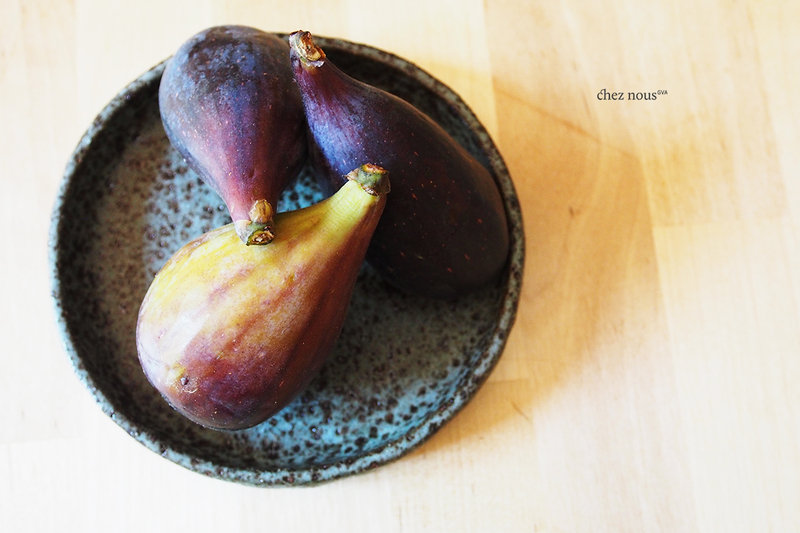 And the figs give a tinge of sweetness to contrast all these lovely flavors. Melt the butter in a pan. Fry the eggs in the butter and lay a sage leaf or two. Crack over some salt to season. When cooked, set aside. 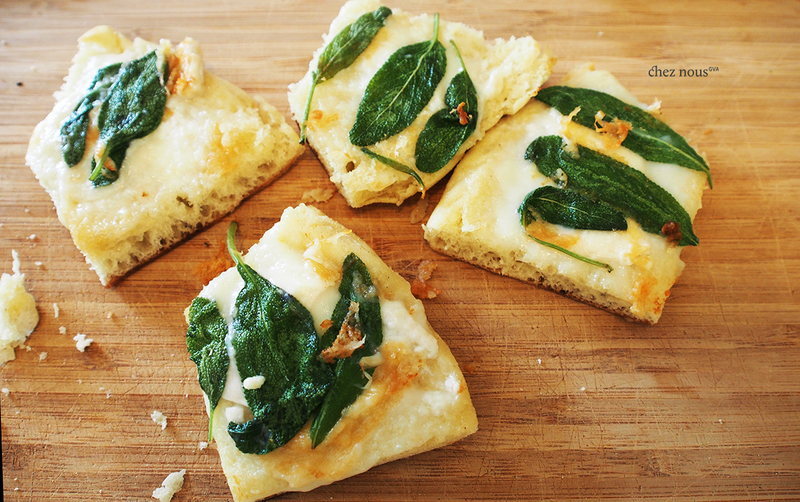 Spread the goat cheese over the bread slices and top with whole fresh sage leaves. Grill lightly in pan with melted butter. sounds yummy I will try it!!! !